Healing Tree Go 'Way! 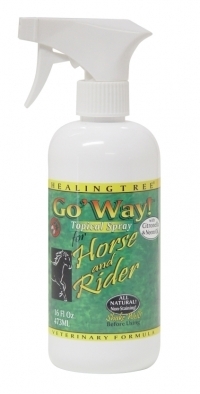 Repellent for Horse and Rider is an emulsified blend of carefully selected essential oils which keeps insects and flies away. Contains cedar oil, citronella and peppermint oil. Comes in a 16 Fl oz/473ml Spray Bottle.